Jeffrey L. Miller, a Portland native, graduated from Boston University in 1973 (BS) and the University of Washington in 1977 (MA). His work in art, architecture, and engineering also include studies at the Massachusetts Institute of Technology and in classical design in Western Europe. His firm has completed over 500 residential projects in the last 34 years in Oregon, Washington, California, and Hawaii handling an equal mix of both new house design and home remodel work. Many house remodels and additions require historic restoration which has become a specialty of the firm. Jeffrey L. Miller Architect, P.C., is a small firm whose residential focus provides an informal and personal setting that facilitates the “custom tailoring” of a house to an individual family. The plan is inspired by the client as the architect graphically translates answers to questions about the site and lifestyle of the owners. The style of the house emerges from the personal conceptions of the client. The architect transforms these conceptions into a buildable form by a series of “sketches” for the owner’s approval. The clients continue their intimate involvement by visiting showrooms to select the materials that finish the house. An in-house office library assists in providing visual examples and precedents to help clients make decisions. The architect orchestrates the procedure throughout and coordinates all the information into a unified whole. Clients work with the principal until a design is complete. Construction drawings are produced by the drafting staff under the principal’s supervision. Bidding and negotiations with contractors and construction supervision are available to the client as required. Our potential clients are naturally interested in knowing what our services will cost. Because architectural services are not a commodity, it is difficult to know how much time will be required to complete design services. A construction project is a like a new invention. Though the parts and procedures may be common, they have never before been put together in this particular way before. In the construction of a house, literally thousands of decisions must be made involving perhaps hundreds of people. The process is subject to adjustments on its way from inception to completion. It may be availability issues from a manufacturer, changes in building codes or structural requirements or, most likely, changes in the owner’s program or time schedule. These are just a few of the many ways the time required for services can be impacted. To set a fee or percentage of construction cost for such an unpredictable process would, without exception, result in work done that is either under or over compensated. Furthermore, the diversity in our client’s capacity to make decisions varies tremendously. It is impossible to predict changes that may be requested through the process. Because this is a creative process for both the client and the architect, it is critical that changes can be entertained and implemented if appropriate. Though we hope to make any change during the design phase of a project when the costs are minimal, the owner should always have that option further into the process. For this reason the services of this office are billed hourly for completed work only. We understand however, clients want to at least have a general idea of what the project will cost. Because we have completed over 500 projects we can look back and find similarities that help us estimate costs. Perhaps the most remarkable aspect of the cost of architectural services is that they are typically lower than the cost of real estate services. Furthermore, an investment into architectural involvement typically adds value to a property. Architecturally designed houses nearly always demand higher prices than those built without an architect. As a matter of fact, houses for sale that have been produced by this office are advertised as such because the realtor believes it adds to the house value. As with most things, there must be an element of trust in the process of producing architecture. We feel having provided over 30 years of services to hundreds of clients is the best testimony of our capabilities. Since most of our remodel work is done in established communities, nearly all the residential land is already built out with houses, some well over a hundred years old. Dramatic changes in technology and lifestyle over the last few decades make these existing buildings inadequate for contemporary living. This has resulted in more than half of our work focused on turning old houses into homes that work for today’s families. There is hardly a kitchen or a bathroom that work adequately after thirty years and modern families demand far more sharing of space in kitchens, but far less in bathrooms. Updating older homes is typically a complicated puzzle of challenges which makes it's success that much more rewarding for us and our clients. We have worked on hundreds of older homes adding family rooms, remodeling kitchens and bathrooms, and adding more space for storage needs. Unless we can dramatically improve the exterior design, we strive to make the house look untouched on the outside even though the interior may have been completely altered. Though we endeavor to adhere to the general style of the house in our interior alterations, sometimes it is appropriate and our client’s wish to break away from the existing architectural limitations. Because so much of our new technology is very contemporary in its design, this approach often works beautifully. Whether just small updates of existing spaces or a complete remodel, we endeavor to make the result completely functional yet aesthetically seamless. Amazing professionalism and quality, despite everyone telling us he was the best architect for the project he still exceeded all of our expectations. Has anyone else seen the first set of plans and accepted everything with no changes-we did! That is how well Jeff understand our vision and implemented it like it was us doing the drawings. Simply the best and we cannot say enough superlatives to do him justice. On top of it he picked a perfect builder-ahead of schedule and under budget despite everything being of exquisite quality and superb craftsmanship. What a team. My wife and I own a 70 year old Roscoe Hemenway in the West Hills. In 2006 we hired Jeff to build out a new kitchen, garage, and addition to our home. Jeff put us in touch with a great contractor, and with his design and oversight of the project we are very happy with the results. Jeff is very easy to work with, and his design work is recognized of the highest quality. Remodels are never easy, but Jeff delivered a wonderful product. We enthusiastically endorse Jeff Miller as our architect of choice. He has designed and overseen three major projects for us. First, he listened to our ideas and dreams for our beach front house at Gearhart. He designed a distinctive and fun vacation home. Second, he interpreted our wishes for a stunning jewelry store and created the best looking store we could hope for. Third, Jeff designed a very authentic-looking Dutch farmhouse and barn combination. We were impressed that he worked from one picture out of a book. 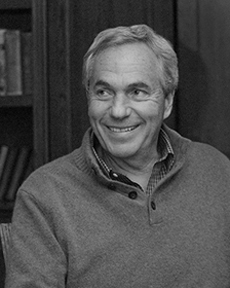 His knowledge and experience in proven classic architectural design is the best in the Northwest. Moreover, he’s seasoned and fun to work with. Jeff designed a remodel for our home in 2001. We chose him as we admired his work and heard glowing comments from those in which he was contracted. We aligned with his ascetics, loved what he designed for us, and were impressed with his professionalism and efficiency. We look forward to working with him again. As a commercial real estate investor/developer I have worked with many different architects over the years. He attention to detail and the accuracy of his drawings are the best I have seen. His creativity, demand for quality and style will show though in your finished home for decades. A building contractor for over 35 years I have worked with Jeff on many of his projects. His designs are done with perfection in keeping with the existing home and surrounding area. I have found that his plans are well laid out with all the pertinent information and schedules needed for accurate estimating giving the the client true cost of the project. His staff are among the best being always available, resolving any potential issues before they arise and working in the best cost to build methods. I have always enjoyed working with Jeff because he has a very friendly demeanor making the project easier for all involved. Over the years I have been asked many times who I would recommend for an architect and Jeff is always on top of my list. We worked with Jeff for our Gearhart beach house project. We started with the notion of a major remodel and, with Jeff's help, came to conclusion we should rebuild. Jeff is extremely talented and listened to what house features were important to us. Within days, Jeff came back with a design that fit extremely well into the setting, met all our space/functionality needs and was simple and elegant. After completing the project, I can say that Jeff attention to detail and quality surpassed our expectations. There were details in the design which weren't evident to me until they were built-out by our very talented contractor and the details made the house. The house "lives" very well for us and we're happy with both the process of working with Jeff on the design and, more importantly, the final product. I have worked with Jeffrey Miller for nearly 20 years, beginning in 1994, when he did a major remodel of our mid-century home. He made a tired house into a timeless residence. His work is superb, his artist's eye unerring. In addition, he is versatile--equally at home working with traditional and contemporary houses. Finally, he is a pleasure to work with, always timely in responding to requests, always attentive to my wishes, and perhaps equally important, fun! Our family hired Jeff to remodel our newly purchased vacation home. Jeff completed his task to perfection; on time, on budget. He listened attentively to our ideas and kept focused on our desires for updating flooring, lighting and a complete kitchen do over. Jeff has a particular ability and talent for envisioning spaces. He offered suggestions we hadn't even considered to make the kitchen area more functional. Jeff Miller and his associate, Tobin Weaver, provided all the design and interior decoration services for a significant renovation of a historic Portland home that we just completed, and we couldn't be happier with the result. From initial planning through the finishing details, they were respectful of the historic character of the home, attentive to our priorities as future residents and thoroughly professional in their approach. We especially appreciated their creativity in solving the issues inherent in making a 100 year-old structure into a modern, convenient living space. We would certainly use them in the future and recommend them to our friends. We hired Jeff Miller to design a brand-new house for us in Portland Heights, near downtown Portland. We had seen pictures of his other private homes and they really captured the feel we wanted for our house. Jeff pretty much "got it" in one try in terms of the street look for the house and we continue to be pleased with it four years later. We have been told by many people that it is one of the only houses built recently that really looks like it "belongs" in our (traditional) neighborhood. We feel fortunate that he designed such a singular house for us. It is important to know ahead of time that Jeff has very strong opinions when it comes to house design. They are based on his extensive experience but be prepared to have an architect who is going to let you know his opinions! I believe that this is because he cares deeply about how the house turns out, and upon reflection, he was right about many things that we questioned at the time. We used Jeff Miller to design our beach house in 2010-2011. He understood exactly what we were looking for in the design of this house. The uniqueness and quality of materials are outstanding but just as important, the house is very functional. Jeff & his staff are professional yet easy to work with. We get compliments on our house every time we are down at the beach. We would not hesitate to use Jeff Miller on another project. We hired Jeff to redo our primary home. He did such a wonderful job on that we hired him to design and oversee construction our beach house in Manzanita. That place turned our fabulous so we again hired him to design and oversee the construction of our winter home in LaQuinta at the Hideaway. It may be our favorite place. A true Colonial Revival Spanish Hacienda style house which we just love. Obviously we loved working with Jeff, a truly talented Architect, and would recommend him highly. We looked at houses for months trying to find a design we liked. When we stumbled upon this one house not far from our lot we said "we want whoever designed THAT one!" So we tracked down the architect (Jeff) and as hoped we wound up with a beautiful home. One thing we liked about Jeff was that he designs places with warmth and character, that fit with the site and character of the area. From his portfolio he does a lot of different styles but what we really liked was his take on what I guess you'd call the Northwest Beach Lodge style. Our lot had a pretty low height restriction on it, but still we asked him for a reverse floor plan (for the view) with nice vaulted ceilings and traditional sloped roof lines -- and he did it! I still shake my head over that. Jeff was good to work with, and while we did have our differences now and then, we never had any serious disagreements (and usually he turned out to be right anyway.) We were also very glad that we hired a builder he knew and was comfortable working with. We've seen some other projects where they took his initial design and went off on their own or accepted a contractor's suggested short-cuts to save money, and even from 100 feet away you can tell the difference. Yes you'll pay more but if you want a fine architect-designed home, it means trusting the architect throughout the project and not cutting corners. JEFFREY L. MILLER ARCHITECT, P.C.